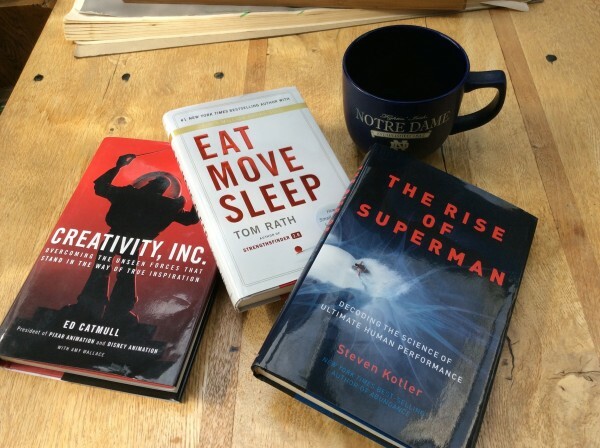 I’m reading 3 great books that I wanted to share with the For Impact community. Choose one, two or all three. I promise they’re well worth the time and energy. 1. Creativity, Inc.: Overcoming the Unseen Forces that Stand in the Way of True Inspiration. To me, this is an must-read for anybody who is trying to change the world. Written by Ed Catmull who is President of Pixar Animation and Disney Animation, this is the 20-year story of how Pixar has dominated the world of animation with Toy Story, Monsters, Inc., Finding Nemo, Incredibles, etc. I first saw this in an article in Fast Company in April, which highlights my favorite takeaway from the book: THE BRAINTRUST! My guarantee: If you read what Pixar/Disney does at these BRAINTRUSTS … you will never have another ‘regular meeting‘ again! 2. Eat Move Sleep: How Small Choices Lead to Big Changes. Recommendation from my great friend and business partner Nick Fellers. Tom Rath is best-selling author (How Full Is Your Bucket?, Strengths Finder 2.0, etc.) and senior scientist and advisor to Gallop. He has been managing a serious illness for more than 20 years. That alone gives his writing huge credibility. EAT MOVE SLEEP leaps into the circle of my favorite books that capture the entire message in the title and on the cover! The book is filled with nuggets that will help anybody make much better decisions in these 3 interconnected areas.This book can be skimmed, opened up to any page and nugget, and has a terrific table of contents with 30 themes that will allow you to pick and choose where you want to go. 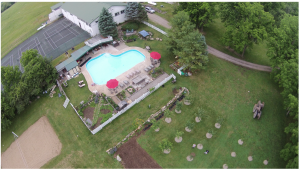 Note: If you have any interest in your own health and well being … this is a great place to start this summer. 3. The Rise of Superman: Decoding the Science of Ultimate Human Performance. Nick Fellers and I recommend and give each other books 2 or 3 times a week. This is another one of his discoveries that will blow your mind. Just the tagline alone should get your attention! ‘Decoding the Science of Ultimate Human Performance’. Kotler does this by drawing on a decade of research and reporting with dozens of the top action and adventure sports athletes like Big Wave Legend Laird Hamilton, Big Mountain Snowboarder Jeremy Jones and many others.The bottom line for me is the book represents the amazing possibilities of finding FLOW. Kotler starts with the Godfather of Flow, Mihaly Csikszentmihalyi, former Chairman of the University of Chicago Department of Psychology and author of a number of great books on FLOW. Here is a great TED Talk on FLOW by M.C. Kotler’s stories about big wave surfers, free climbers, wing suits diving off of buildings in New York City are absolutely fascinating. Almost every story is about amazing athletes who must find FLOW … or DIE. This massive acceleration in performance have occurred within the world of action and adventure sports … and Kotler highlights the characteristics necessary for this kind of peak performance. Again, if you are interested at all in maxing out your potential and changing the world … this is a ‘super‘ read. Nick is leading a session at Eagle Creek today and tomorrow with 50 wonderful people representing some amazing organizations. IMPACT DRIVES INCOME. (Not the other way around). We’ve learned from doing a lot of these sessions that CHANGE takes 3 minutes and then 3 months or 3 years. You can grasp the power of These 3 Things in 3 minutes. How you apply it is up to you. I was reading an article from New York Times about Jeb Bush. Politics aside, it was a very interesting article about his “bookishness and pragmatism”. A voracious reader, the article talked about all the different, almost Gates-like, diversity in what he reads. The article mentioned that while he was Florida’s Governor (1999 to 2007), new employees would find a copy of a treasured Bush book on the desk: A MESSAGE TO GARCIA. I love this story! 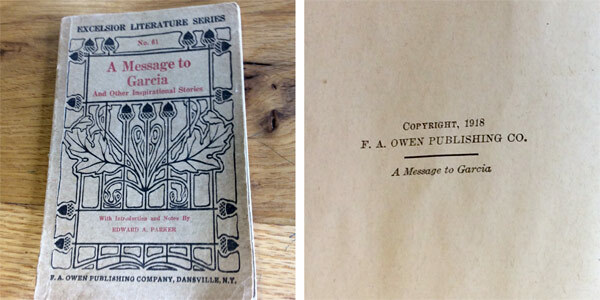 I actually have a small pamphlet printed in 1918 that highlights this 1899 essay. I am paraphrasing Hubbard’s story… but I think you will get the point. THE STORY: When war broke out between Spain and the United States, it was necessary to communicate quickly with the leader of the insurgents… a General Garcia. He was somewhere in the mountain vastness of Cuba – no one knew where. Mail or telegraph could not reach him… and the President had to secure his cooperation quickly. Andrew S. Rowan, West Point Class of 1881 was a First Lieutenant in the 19th Infantry, U.S.A. (Yes!) Because he knew the topography of Cuba, was familiar with Spanish, and had shown himself to be a brave and prudent solider, Lieutenant Rowan was selected for this mission. In short, he took the letter, sealed it in an oilskin pouch, strapped it over his heart and crossed from Jamaica to the southern coast of Cuba in a sailboat. He disappeared into the jungle, made his way inland to Garcia’s camp… and DELIVERED THE MESSAGE!!! We are preparing for next week’s SALES BOOT CAMP at Eagle Creek. 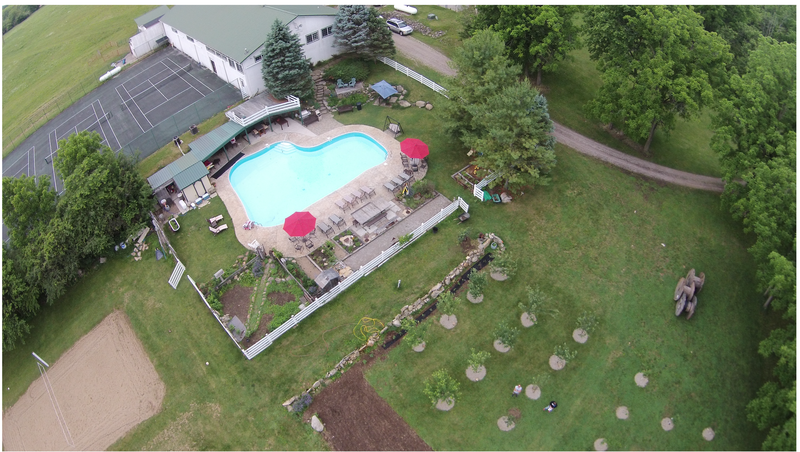 I thought I’d share a picture of the orchard, garden and pool area for Eagle Creek alums and new attendees. This is almost ALWAYS the case: SOMETHING TO GAIN … and NOTHING TO LOSE. JUST ASK. JUST ASK. JUST ASK. JUST ASK. A message is not necessarily WHAT YOU SAY, it’s WHAT PEOPLE HEAR. This is the simplest definition I can offer. It’s adapted from Words the Work. It’s not what you say, it’s what people hear. By Frank Luntz. If you geek-out on message, this is a terrific read. I’ve been using this definition to make people aware of their message. What do you want people to hear? Ultimately, I suspect it’s that you’re changing lives, saving lives or impacting lives. Admiral William McRaven, a Navy Seal for 36 years, delivered the commencement address at the University of Texas. If you haven’t seen it or heard it or read it … you should. It’s been mentioned by a lot of people as one of the finest commencement talks ever. Here’s the shorthand version of Admiral McRaven’s 10 Life Lessons from Seal Training. Lesson No. 1: If you want to change the world, start off by making your bed. Lesson No. 2: If you want to change the world, find someone to help you paddle. Lesson No. 3: If you want to change the world, measure a person by the size of their heart, not the size of their flippers. Lesson No. 4: If you want to change the world, get over being a sugar cookie and keep moving forward. Lesson No. 5: If you want to change the world, don’t be afraid of the circuses. Lesson No. 6: If you want to change the world, sometimes you have to slide down the obstacle head first. Lesson No. 7: If you want to change the world, don’t back down from the sharks. Lesson No. 8: If you want to change the world, you must be your very best in the darkest moment. Lesson No. 9: If you want to change the world, start singing when you’re up to your neck in mud. Lesson No. 10: If you want to change the world don’t ever, ever ring the bell. At the very end of the 10 lessons, I urge you to check out this link or others which include the actual video and the text of his talk. I saw this quote on the wall of a yoga studio. Obviously makes a lot of sense in that environment. The goal is to ‘practice’ yoga with mindfulness and a focus on your own body. It is not about competing/competition with the instructor or others in the class. ***This took me a while to understand! When I first started, I couldn’t do any of the 26 Bikram poses, for example, and I couldn’t believe how easy people went into the poses, nor how long they could hold them. In our For Impact world, this idea of COMPARISON or COMPETITION is a zero sum game. We should always be looking to be the best we can be … and also looking for wonderful ways to collaborate with other people and organizations. ‘Joy‘ seems to me to be a much more powerful word than ‘happy‘. I’m reading another magnificent edition of SUCCESS MAGAZINE (July 2014). Cover story is on Michael Douglas and dealing with life’s ups and downs. REPAIR THE WORLD. CHANGE THE WORLD. BE FOR IMPACT.